Looking for free printable valentines? Who doesn’t love unicorns and rainbows?! The obsession with unicorns continues, it reminds me of being young and obsessed with everything Lisa Frank! 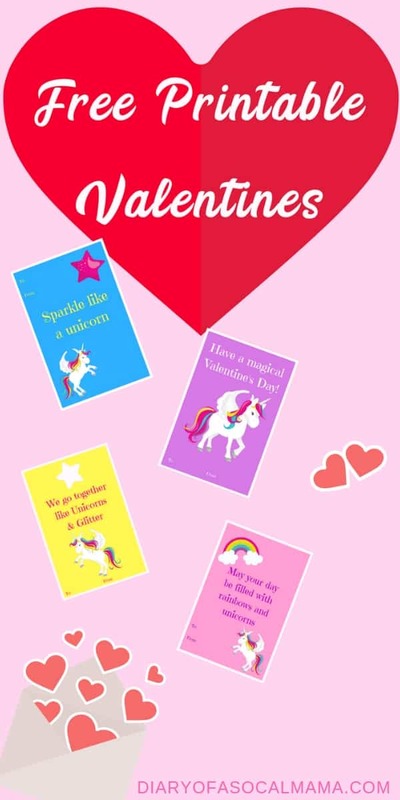 These free printable unicorn valentines day cards are perfect for your child to give to their friends and classmates on the big day. Includes versions with or without To/From lines. Valentine’s will come as an 8.5×11 PDF format with 4 on the page. Print them on card stock for the best look. If you want them to have a colored back purchase colored card stock. Then print the Valentine’s out on white paper and glue them onto the colored cardstock. Make it a complete gift by pairing them with one of these cute unicorn themed candy & toys! 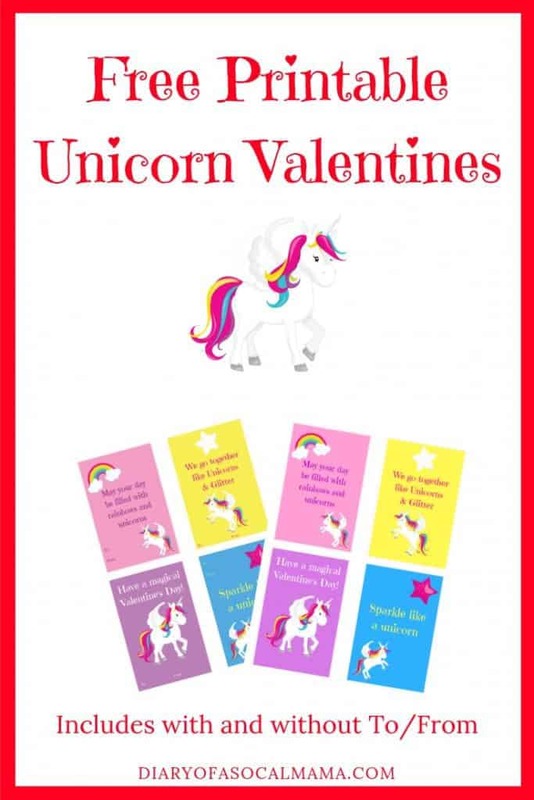 Simple attach to the magical unicorn card or slip everything into a pretty cellophane bag and they will be ready to give to friends and classmates at school on the big day! Want to help your child make a cute Valentine’s Day handprint card for your spouse, teacher, or grandparents? Check out the directions here! Download more free printable valentines!